Lisnagarvey and Pegasus will carry Ulster hopes in the semi-finals of the Irish Senior Cup on Sunday as they prepare to host Glenanne and Cork Harlequins respectively. Garvey will be out to bridge a 14-year gap as they bid to lift the famous trophy again, having done so on 21 previous occasions. 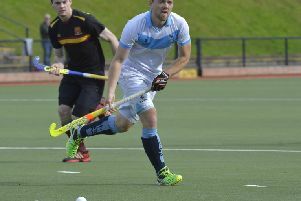 It should be a close contest with the Dublin side, who like Garvey, are in the mix for EYHL honours also. The other semi-final sees Three Rock rovers start as hot favourites to overcome Cork C of I. In a hectic weekend for Garvey, they travel to Dublin 24 hours earlier to face a tricky league test against Monkstown as they attempt to stay top of the standings. Banbridge will be expected to overcome Annadale to keep in the mix while Cookstown, 4-3 winners over Pembroke last week, have a crucial game against basement side C of I. On the women’s front, Ireland interim head coach Boyles will be supervising two training sessions this weekend in Dublin, meaning the internationals won’t be available for Sunday’s Irish Senior Cup semi-finals. Pegasus therefore will be without Shirley McCay and Ruth Maguire for their home tie with Cork Harlequins, who will be missing Yvonne O’Byrne. 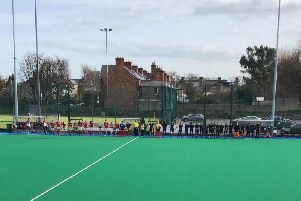 The Belfast side will be aiming to repeat last week’s 3-0 EYHL win over the Munster side and reach the final for the second year in a row after losing 4-0 to UCD in last season’s showpiece. However, Harlequins are likely to pose a stiffer test in the rematch while Pegasus will miss Maguire, who was on the scoresheet last week, and McCay’s overall influence and at penalty corners in particular. The other semi-final is an all Dublin clash between Loreto and Railway Union, who will also be depleted by the absence of their internationals. Loreto will have their work cut out in that tie as they will without World Cup stars Ali Meeke, Hannah Matthews and Nicci Daly while Sarah Hawkshaw is sidelined for Railway as a recent addition to the Irish panel. Meanwhile, Boyles has been reflecting on Ireland recent trip to Bisham Abbey which included uncapped internationals against GB, all of which were lost by a narrow margin. Before that, in what was to prove then national head coach Graham Shaw’s last stint in charge before he announced he would be moving to a similar post with New Zealand, Ireland played Spain and India in Murcia, ending the five-match series without a win. Add in a four-match trip to Chile in January and the return has been just one win in nine capped internationals since Ireland secured an unprecedented silver medal finish at the World Cup last August. However, Boyles, who isn’t expected to apply for the full-time Ireland coaching post which was recently advertised, said there is no cause for alarm. There’s just one EYHL game scheduled on Saturday as the bottom two, Ards and Muckross, meet head on at Londonderry Park, with the Ulster side needing a win or draw to make virtually certain of a relegation play-off and sending the Dubliners down. At domestic level, there were two important Ulster Premier League games midweek, with Ballymoney losing 5-2 to Queen’s and second placed Lurgan taking advantage with a 2-0 home win over Ulster Elks. Lurgan’s win, with goals from Emma Lindsay and Sarah McClure saw them go top, level with Money but ahead on goal difference with two games in hand. Queen’s did Lurgan a favour with that win over Ballymoney at the Dub where Eriin Getty, Alyssa Jebb, Tori Hastings and Jessica McMaster were on the mark. On Saturday, Lurgan have a chance to edge closer to the title when they travel to Banbridge while Queen’s host Elks and struggling Randalstown go to Garvey and Mossley travel to Dungannon. In Senior One, Portadown beat Castle 4-1 as they warmed up for Saturday’s IHC semi-final against Greenfields at Edenvilla.